Take your own school pictures of your child. If you are thinking about taking school pictures, tips for the best results can produce professional quality photographs, even if you are just an amateur. Just because the school hires a company to take the photos does not mean you are obligated to purchase them. Use your own skills to create memorable photographs of your child. Cost: The professional photographs often cost a significant amount of money, even when you purchase package deals. Poses: Students are usually shot striking the same one or two photography poses, which makes each portrait look just like the next. Time: The amount of time spent on each student's photograph is minimal, since most photographers have strict deadlines to meet. Retake Options: Often, companies only shoot one or two pictures of a student. If your son's eyes are shut or he is making a funny face, it will make a separate retake session necessary. If you want to create unique photographs of your child, then skip the regular session provided by the school. By following some basic portrait taking tips you can shoot frame worthy pictures of your student that you will be proud of. 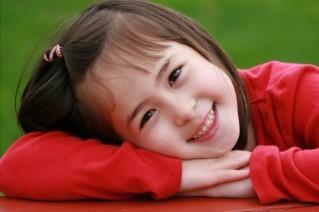 Just like any other portrait session, schedule a time with your child to do the photographs. Ideally, you want this to be before the photograph is due to the yearbook staff in order for it to be included in the book. Check to find out the requirements, such as color or black and white print, head shot only, and size, before you submit your child's photograph. Once you are aware of the restrictions, you can begin to plan the portrait session. If you shoot with film, have multiple rolls ready. Digital camera users should review their owner's manual section on portrait settings. If an outdoor location is not allowed, consider having the child sit in an oversized chair or an antique rocker with a plain wall behind him. Most schools require a torso or headshot for yearbooks and identification badges, but you can snap additional full-length pictures for your own collection. However, the photography props you use in the official school picture should be minimal, as you want the student's facial features to stand out. Taking school pictures yourself not only saves you money, but also creates a portrait unlike any other child's in the class. Keep the aforementioned tips in mind for optimizing your child's school photographs.